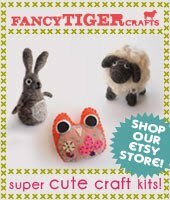 Suzan is a very special Fancy Tiger Crafts customer because she is my mom! 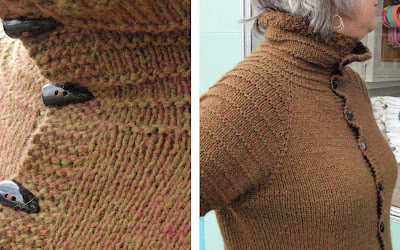 She received the yarn and pattern for this sweater for Christmas and whipped up this beautifully tweedy sweater in just a few weeks. 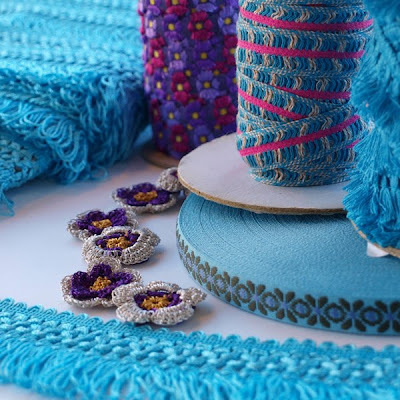 She is the craftiest lady I know and is always inspiring me with her creative energy! I love to spin, knit and weave. I'm crafty because that's what my head does all the time--create. How did you make your sweater? 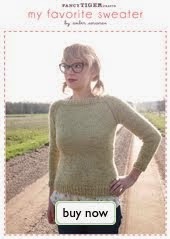 I used the 28Thirty pattern from Zephyr Style and knit it in Peace Fleece Worsted Tweed in Baba's Sienna. I got it for Christmas from my daughter and son-in-law. 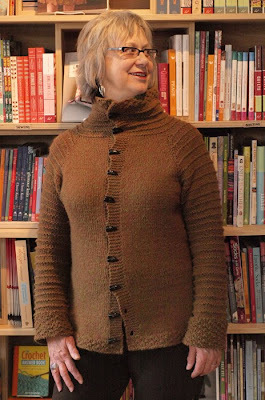 I knitted it longer than the pattern and tapered the waist and used ten horn toggle buttons. My daughters, Emily and Amber, taught me to knit and still are my teachers and inspiration. Isis, my puppy. She is 14 years old but still a puppy to me! New! Schacht Ladybug Spinning Wheels! 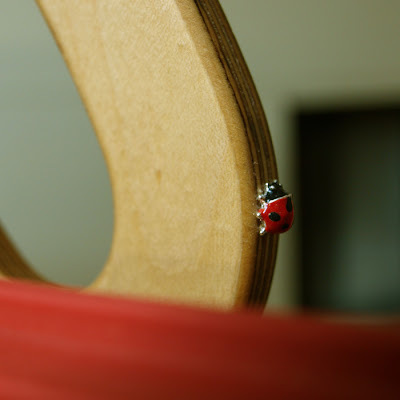 We are excited to announce the arrival of Ladybug spinning wheels at Fancy Tiger! 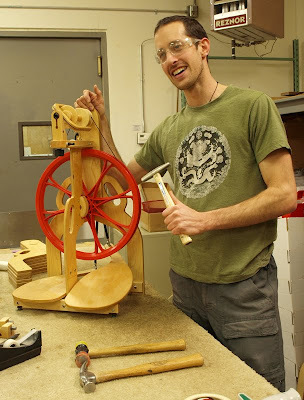 Jaime and I went on a tour of the Schacht workshop in Boulder and got to meet the people who make these adorable and awesome spinning wheels. We are happy to be working with Schacht--not only is it a fantastic local company, but they even have their own community gardens, chickens and bees that are shared by the employees! Liz, our guide, showed us the workshop where Schacht cuts each piece for their wheels and looms. Then we went to meet Dave. Dave is the man who assembles each and every Ladybug. He has a lot of sweet tools. We suspect Dave is the one who hides the teeny ladybug on each wheel. And here is our new fleet of Ladybugs, all ready to go! 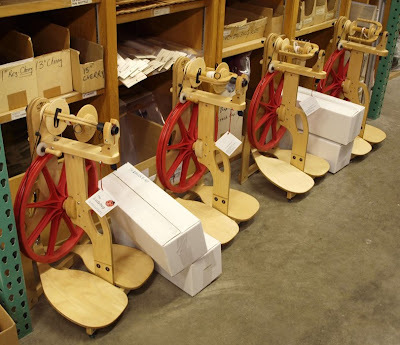 We finally found the perfect spinning wheel to compliment our spinning section. 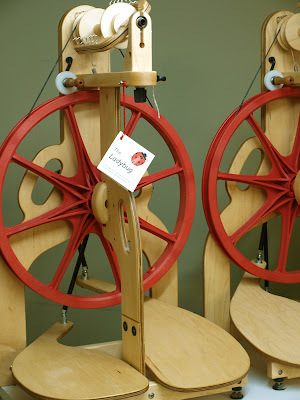 The Ladybug wheel is comfortable, sturdy, and comes in two set ups--regular flyer or the bulky, art-yarn flyer. You can come see them in person in our upstairs spinning section, and perhaps take one home for your very own! 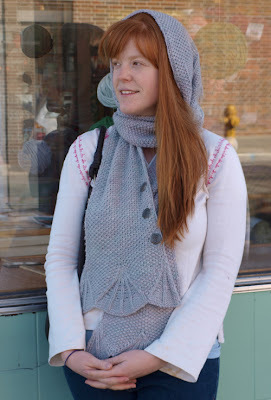 Emily visited Fancy Tiger Crafts wearing the most adorable hooded scarf knit from soft Malabrigo worsted. We couldn't take our eyes off of it! We imagine frolicking through the forest while picking wild herbs and berries wearing this! Jaime is already planning on knitting one of her very own. 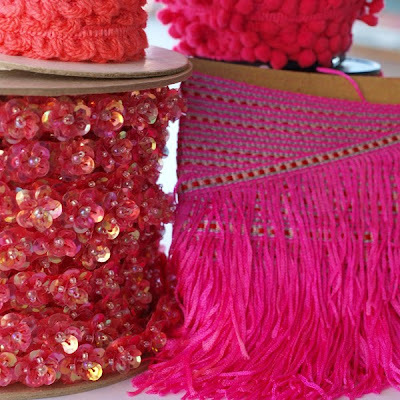 Tell us about yourself...What makes you want to be crafty? I am a medical student--I graduate in May. I'm going into obstetrics and gynecology. I craft as a creative outlet. Knitting is my art. How did you make your scarf? 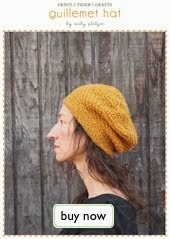 This is the Peaks Island Hood pattern by Ysolda Teague (available in Whimsical Little Knits 2). I added 4" of seed stitch to make it longer. I used Malabrigo yarn in Polar Morn--2.2 balls, straight needles in size 10.5, and three buttons. How did you learn to knot? My grandma taught me to knit many years ago. I picked it up again when my fiance worked at a restaurant that shared a building with a yarn shop. 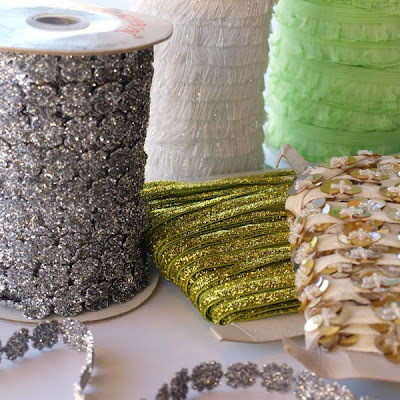 We are in love with these bright, sparkly trims and ribbons that just arrived from Hong Kong! Bask in the sparkly goodness! I can't wait to embellish just about everything in the wooorlddd!!!! 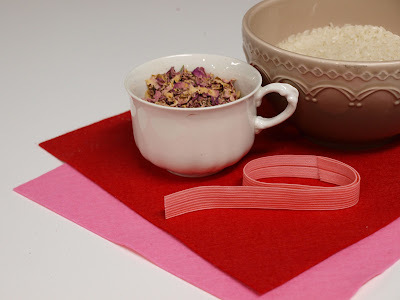 Here is a quick project that makes a perfect crafty gift for the object of your affection--a sleepytime mask filled with rose petals! Draw a heart about 4" x 4". Cut it out and use this for your pattern. 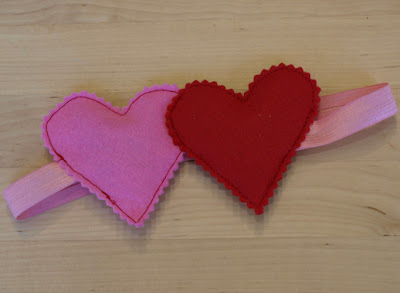 Trace two hearts onto each color of wool felt and cut out your four hearts. 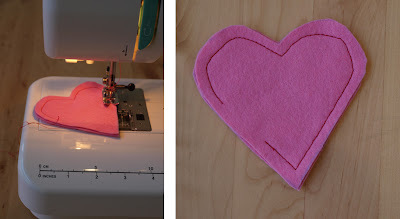 Sew your first heart together, leaving about a 1" opening to fill it. 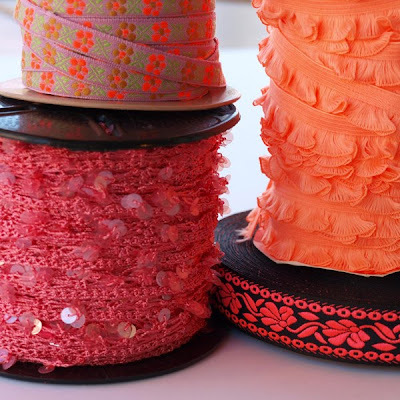 Trim the edge with pinking shears for a cute finish. Repeat for other heart, leaving an opening in that one as well. Place one heart on top of the other, overlapping the edge just a bit. Stitch the hearts together by stitching-in-the-ditch of the previous seam. Now fill one of the hearts with a bit of rose petals and a bit of rice. Don't fill it too full, you want it to be soft on your dear love's eyes. Insert one end of the elastic into the opening and pin everything in place. Now stitch the opening closed. You can now check the elastic band length. Hold the mask up to your face to determine how long you want the elastic to be. Cut it to that length. Now you will fill the other heart, insert end of elastic and pin in place. Stitch the second opening closed. 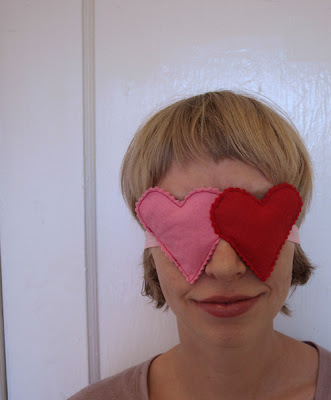 Happy Valentine's Day my lovelies, and sweet dreams! New! New Echino Fabrics and Plume by Tula Pink! We've got some really cute new fabrics in! First, Echino's new collection is amazing. Birds and creatures of all sorts dance and prance across a stage of linen/cotton fabric lovely-ness in Etsuko Furuya's newest line. 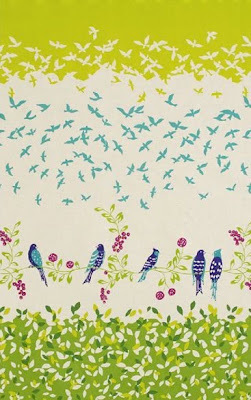 Also adorable and new, Tula Pink's Plume collection is full of feathers, twigs and branches, keys and fancy birds. It is so bright and lovely--I don't think it will last long, so come by and get a couple yards for yourself quick if you need some! 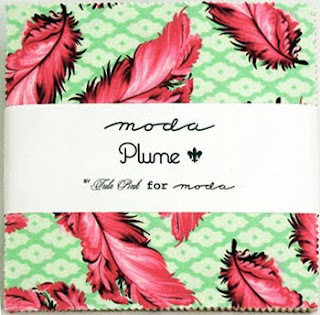 Also available are Plume charm packs, perfect for patchwork projects. First Friday! 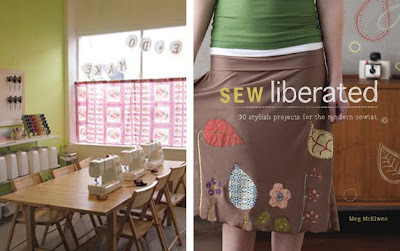 Sew Liberated Trunk Show & Fabric Sale! Come by Fancy Tiger Crafts tomorrow night, Friday, February 5th from 7 - 9pm, to see samples from the Meg McElwee's new Sew Liberated book! We will be displaying many cute projects from the book, serving up treats and libations and opening the new Fancy Tiger Sewing Annex for all to see. 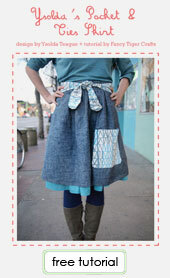 Also, take advantage of 10% off ALL our cute fabrics! See you soon! New! Llama and Angora Yarn! Jared Flood Book! 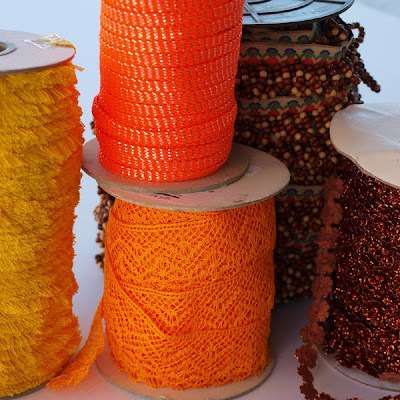 Two new yarns are in! 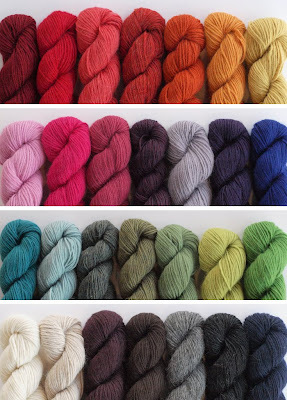 Montera is a 50% llama 50% wool blend aran yarn that comes in a ton of lovely colors. 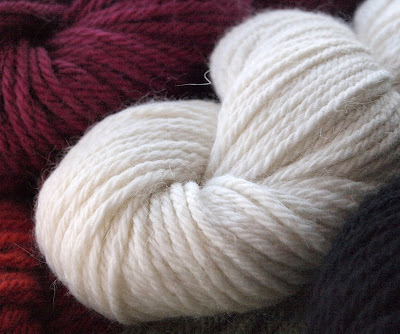 Lush is an 50% angora and 50% wool blend--perfect for soft and magically angora-y projects. 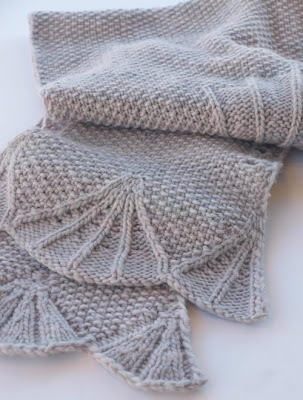 We have two new books with great patterns for both yarns. 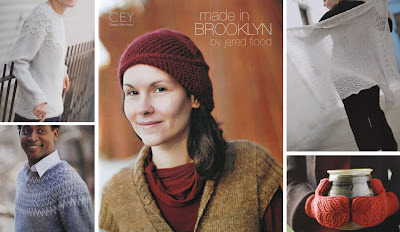 Jared Flood's new book, Made in Brooklyn, is full of beautiful, classic shawls and sweaters, hats and mittens. 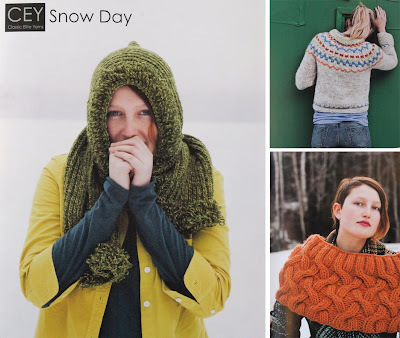 Snow Day has adorable patterns for sweaters, cardigans, hats and shawls. 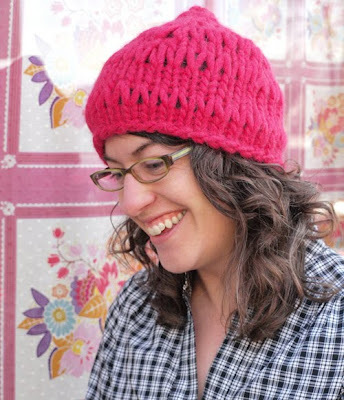 Jaime made this Big Stitch Hat from Snow Day in just one hour last craft night!